William Gowen born about 1730 married to Annester Gowen (unknown maiden name). 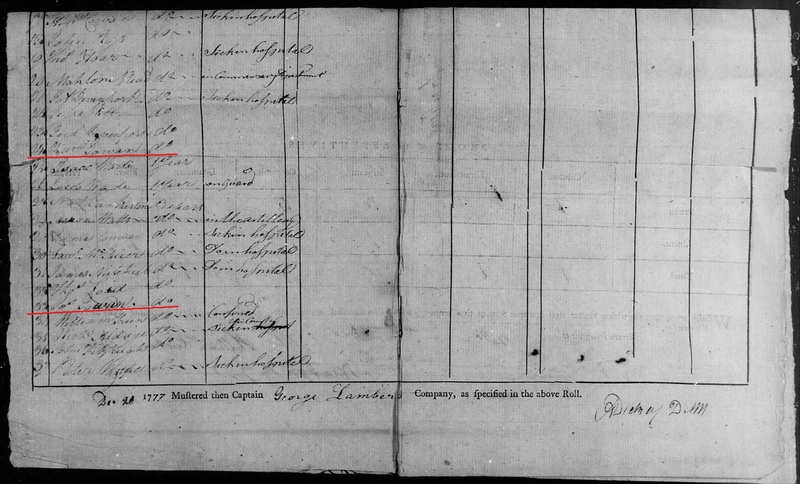 William Gowen appears to die some time between 1796 and 1809. Unknown (Still investigating who his parents are. All possibilities are being checked). Jeremiah Gowen b. 1775 m. Susanna ? Gowen b. 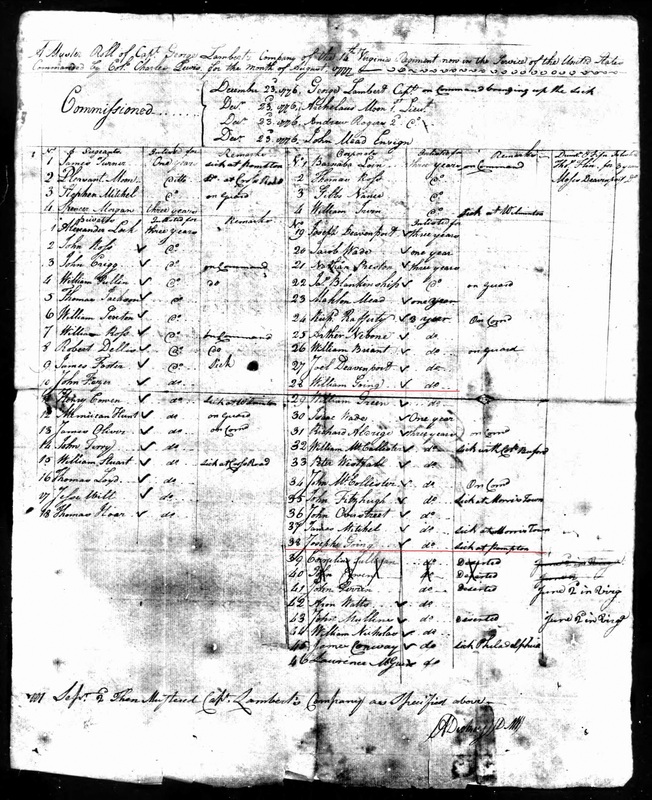 1780 in Va.
(The following appear to possibly be children of William Gowen born 1730, but could possibly be grandchildren). 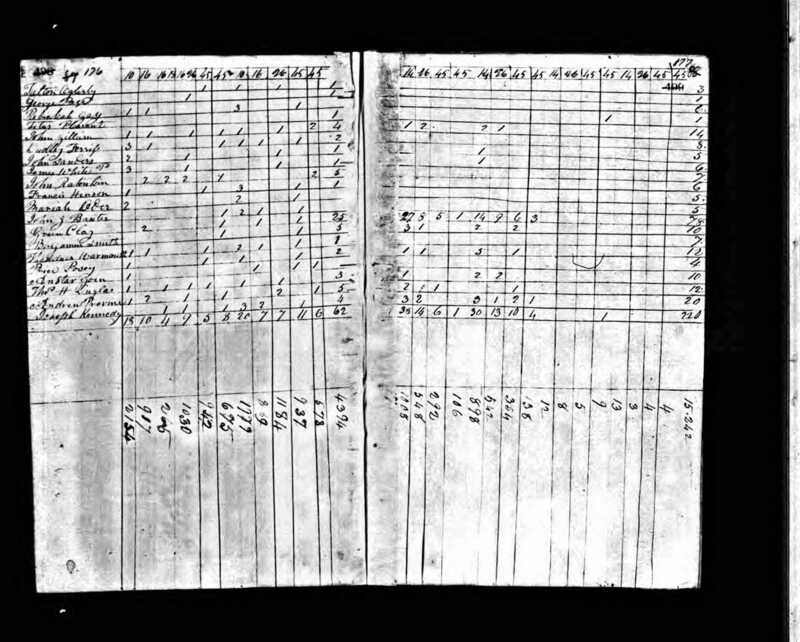 Manoah Gowen b. abt 1778 m. Ketura Crain (marriage Dec 30, 1803) (Note: Manoah Gowen moved from Bedford County, Va, to Madison County, KY with this group). 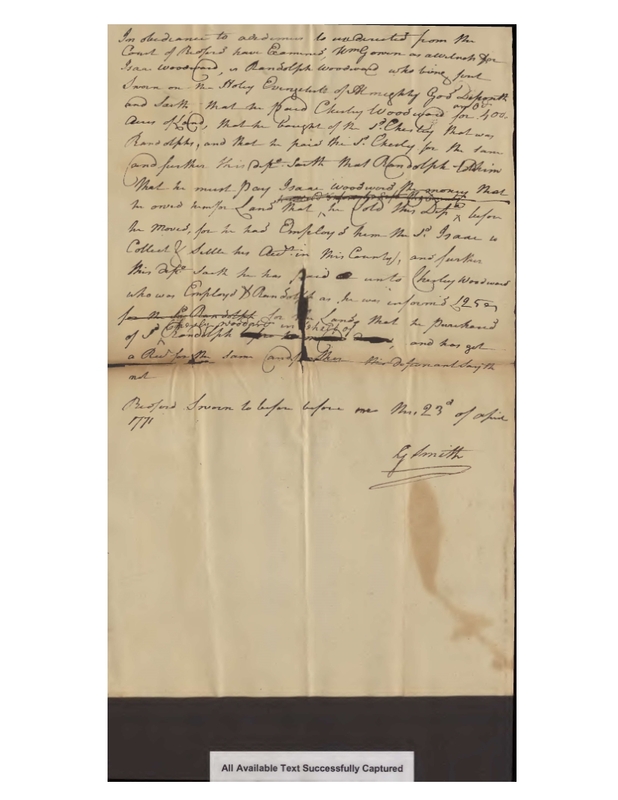 Birth and Death years: William Gowen appears to have been born about 1730, and likely died some time between 1796 and 1810. 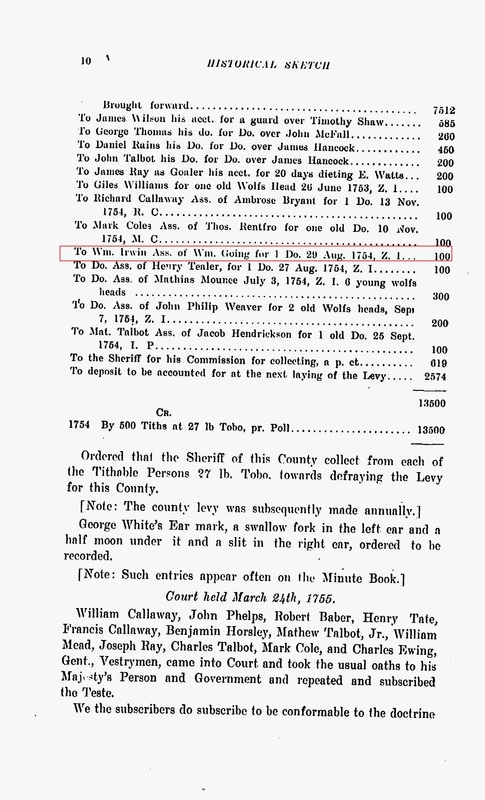 His last time appearing on the tithe list of Bedford Co, Va is 1796. 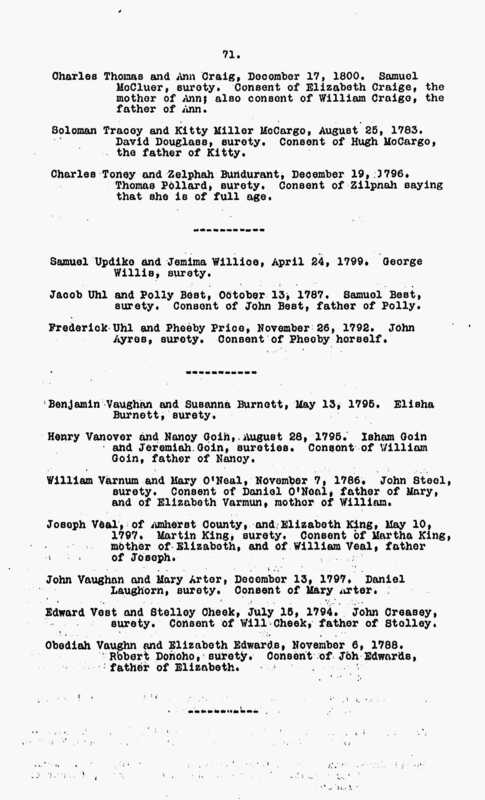 His son William Gowen Jr. shows up on those tithe lists in 1797 and 1798. 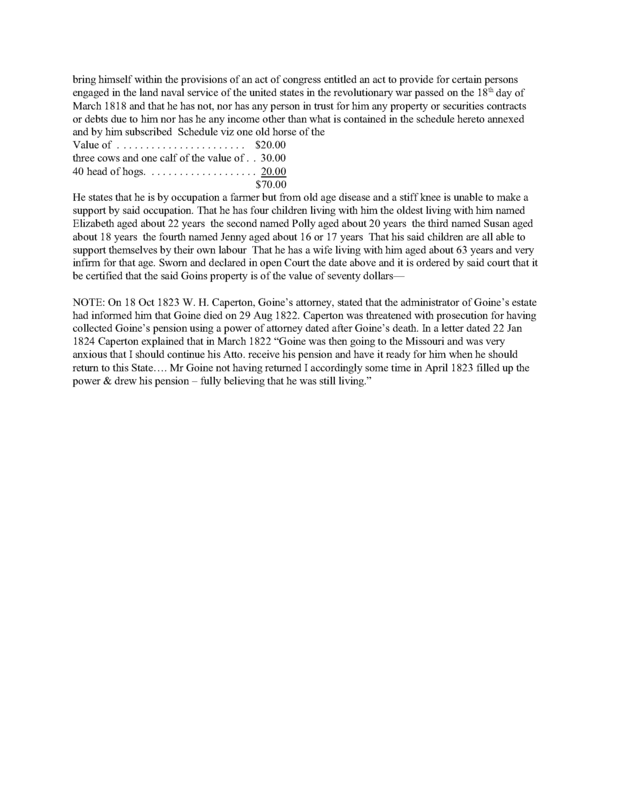 Sons Daniel and Isham Gowen continue to show on tax records until 1799 and 1800. 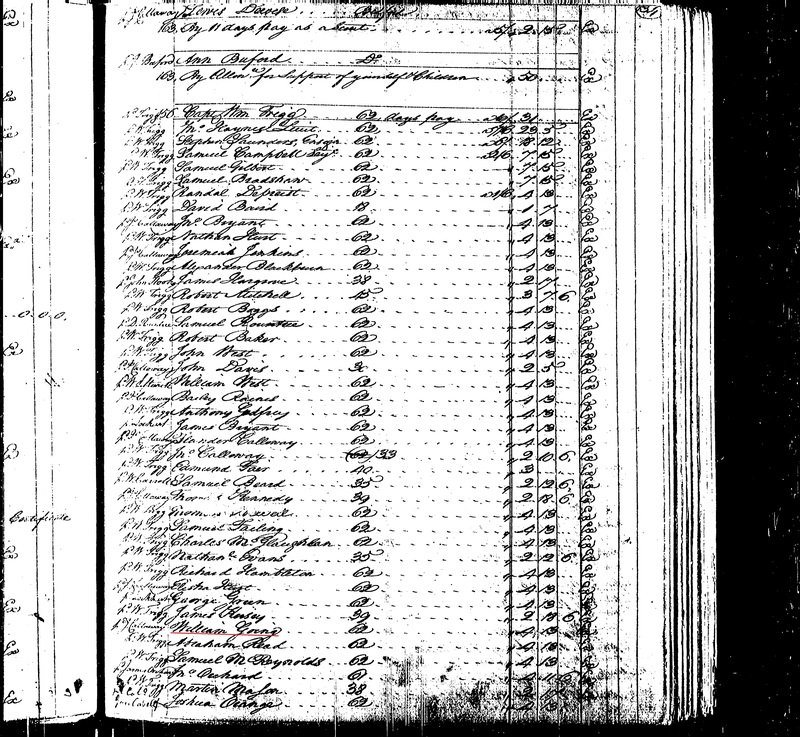 A William Going appears on the 1800 tax lists of Madison Co, KY. This appears to be the son, William Going Jr. 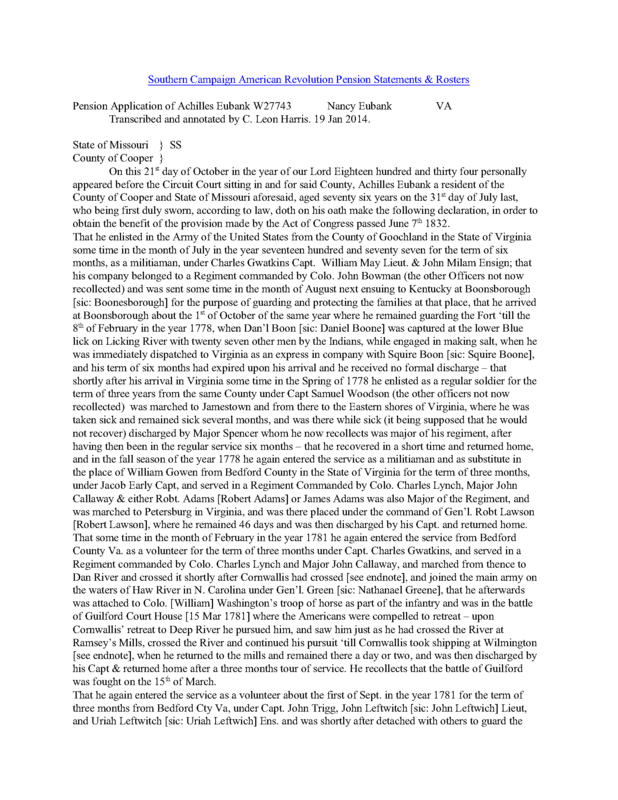 There is a William Goan who is also sued in 1801 back in Bedford Co, Va. regarding whether a full 100 acres of land was sold to a John Crane or not. 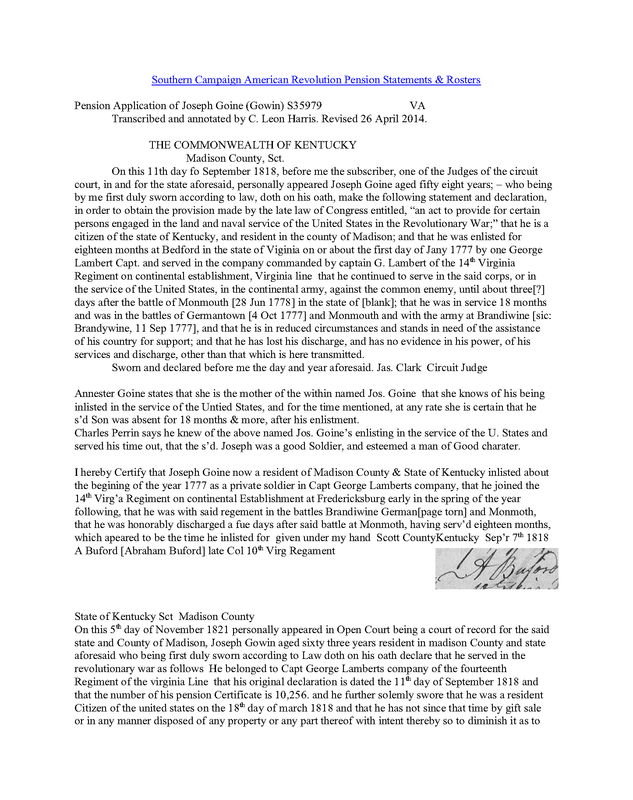 If William Gowen Sr was dead by this time, then this was most likely a suit against William Gowen Jr, who probably sold the land as he was leaving for Madison Co, KY. 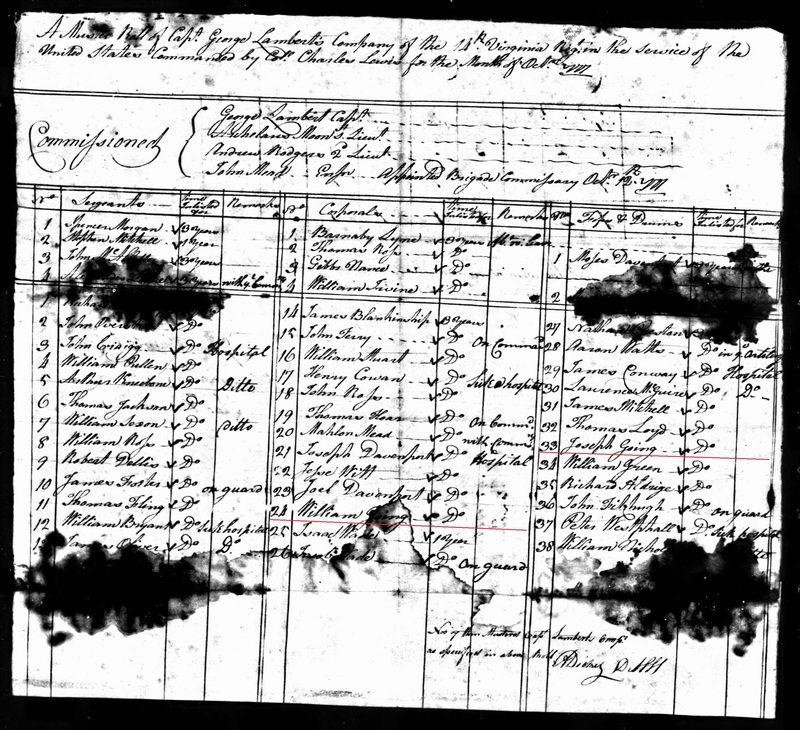 It appears fairly certain that by the time the 1810 US Census in Madison Co, KY was done, that William Gowen Sr had died. 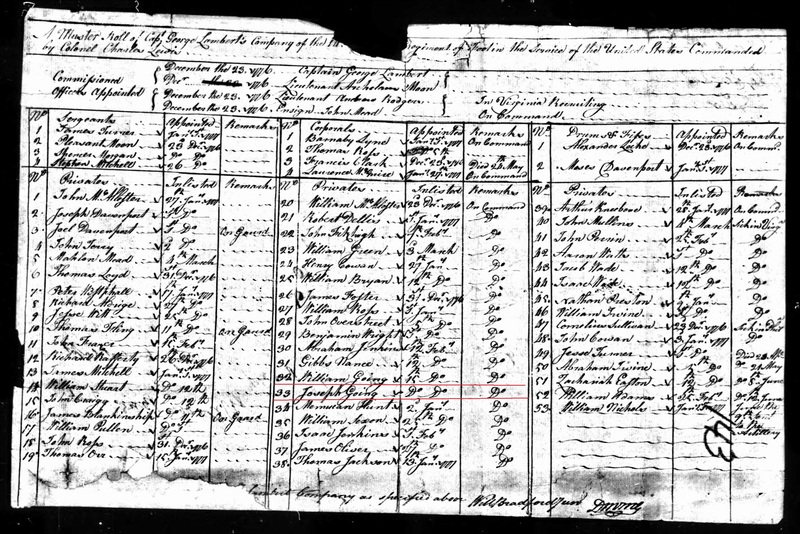 The 1810 US Census in Madison Co, KY showed his wife, Annester Gowin as the head of the household. 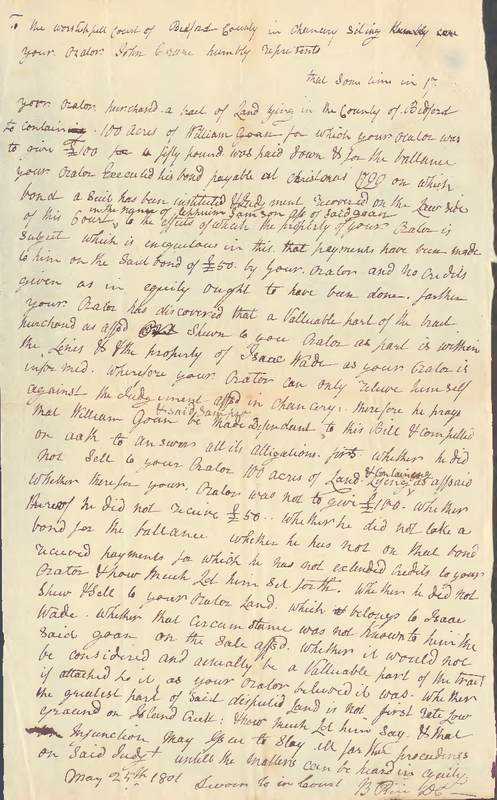 1752 Joseph Goin 1 tithe, Lunenburg Co, Va, John Gowen 2 tithes, Lunenburg Co, Va, Wm. 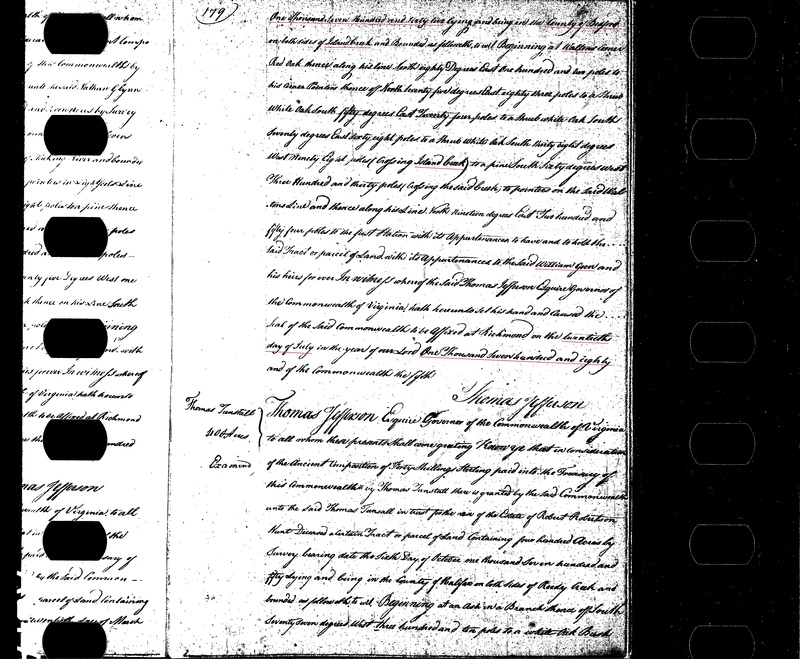 Gowin under William Callaway (along with Robt Graves, Wm Simmons) 7 tithes total in Lunenburg Co, Va.
1754 Aug 29 – William Going receives assistance from Wm Irwin according to Bedford County Court Records. 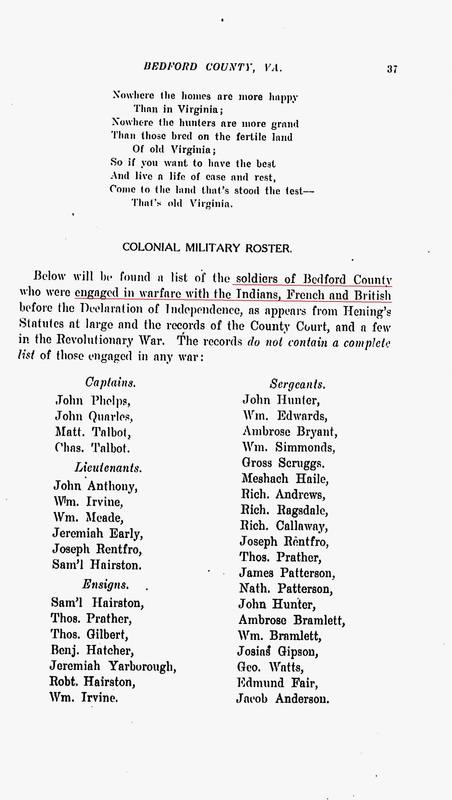 William Gowen was in the military some time during 1754-1758 in Bedford County, Virginia during the French and Indian War. 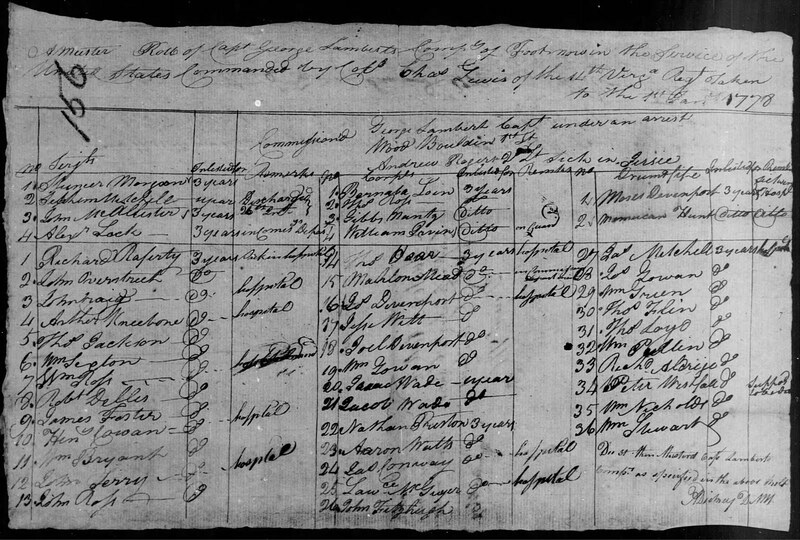 The following roll and pay records from the Revolutionary War are from Virginia’s 14th Regiment, showing both William Gowen and Joseph Gowen in that unit together. 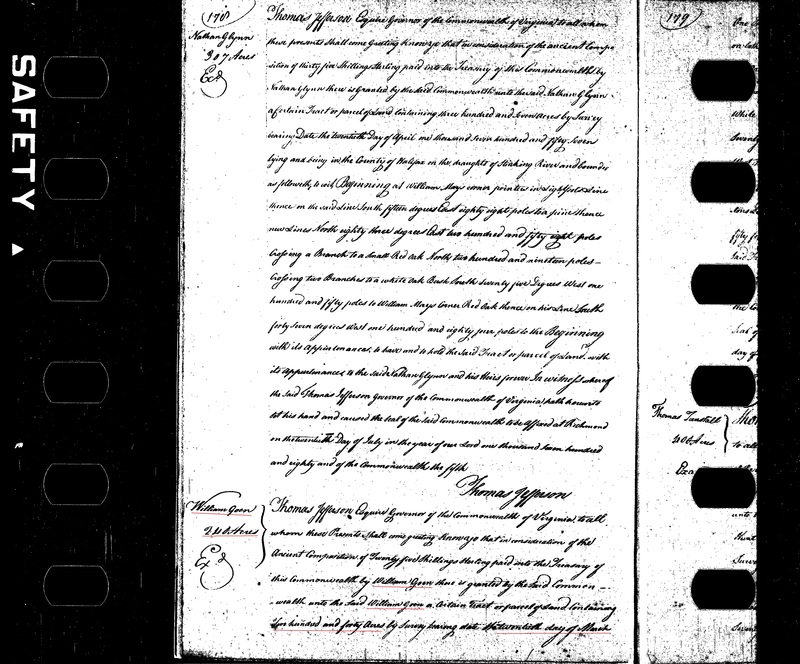 These “may” be records of William Gowen Sr, but it is possible that the records are for his sons, William Gowen Jr, and Joseph Gowen. (See Daniel Gowen’s page for a copy of this will: https://goyengoinggowengoyneandgone.com/1758-daniel-going/ ). 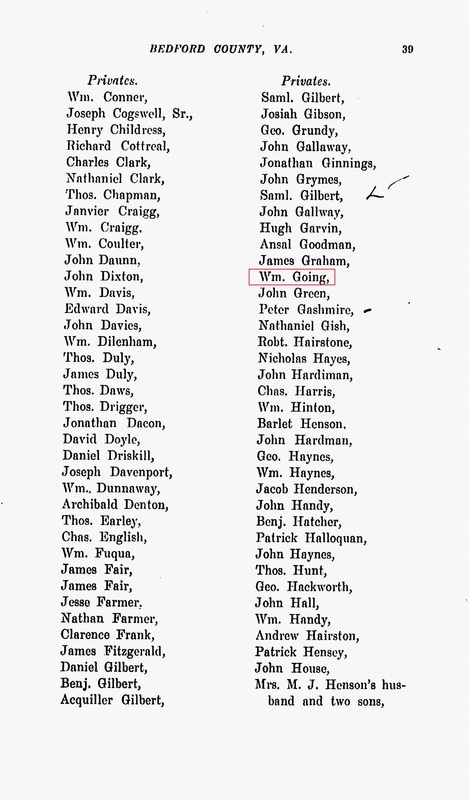 William Gowen’s son, Daniel Gowen (Goyn here), witnessed Stanley Gower’s will in 1782. 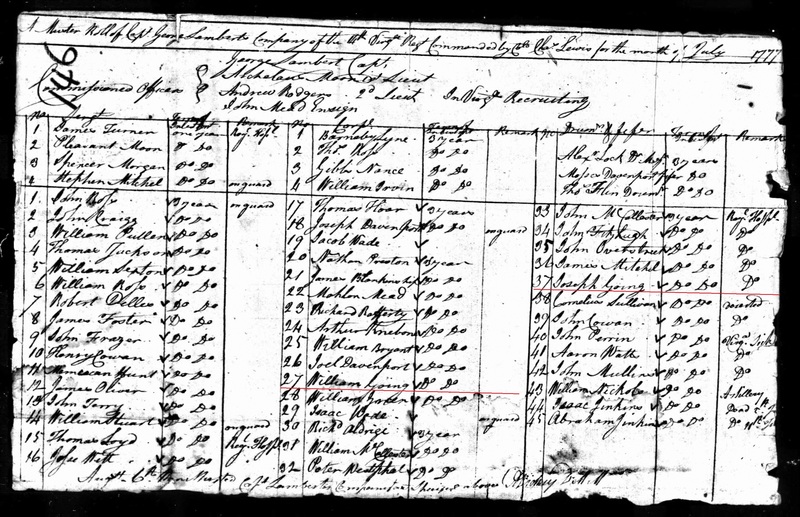 In 1795 Stanley Gower’s son, John Gower, married William Gowen’s daughter, Elizabeth “Betsey” Gowen. 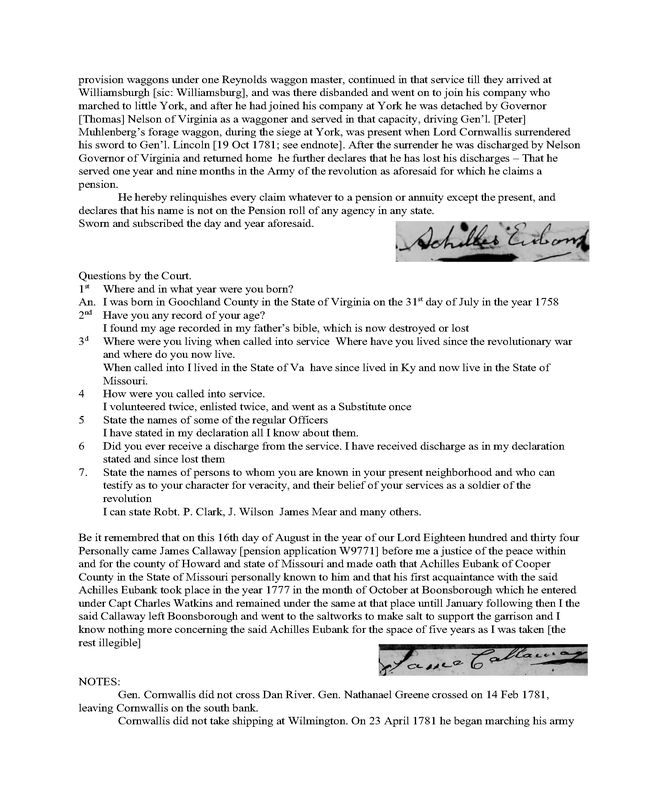 1795 Va Bedford Co Dec 22 Elizabeth Gowing m John Gower with Isham Gowing surety, consent of William Gowing father of Betsey. 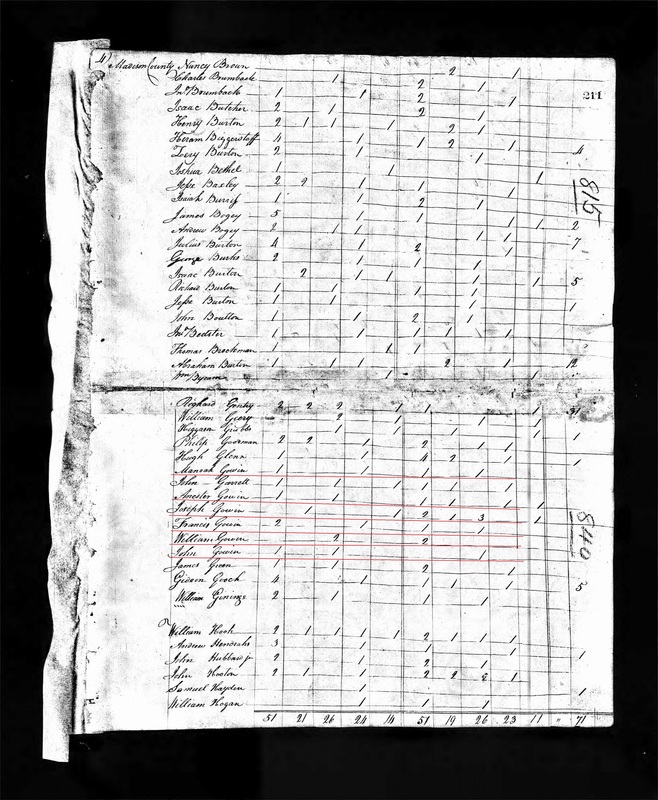 After 1805, neither Going nor Bratcher, including surname variations, are found on the 1806 through 1810 tax lists. 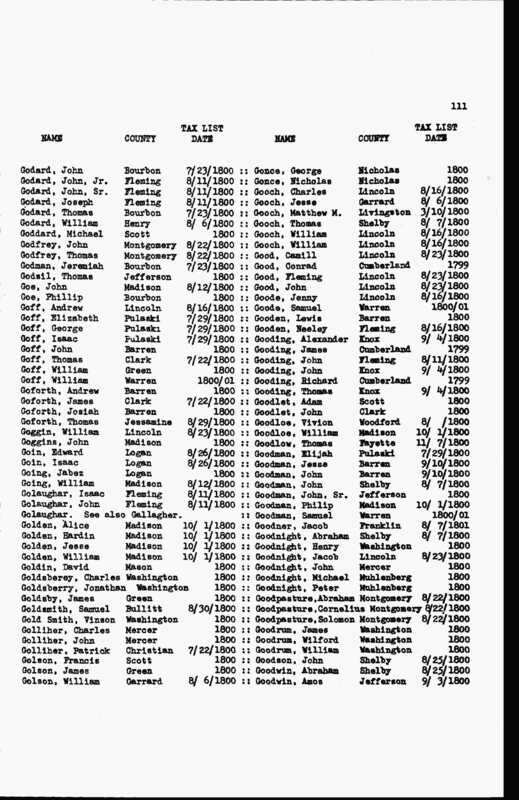 (The Going/Gowen family members do not appear in Bedford County tax lists after 1805). 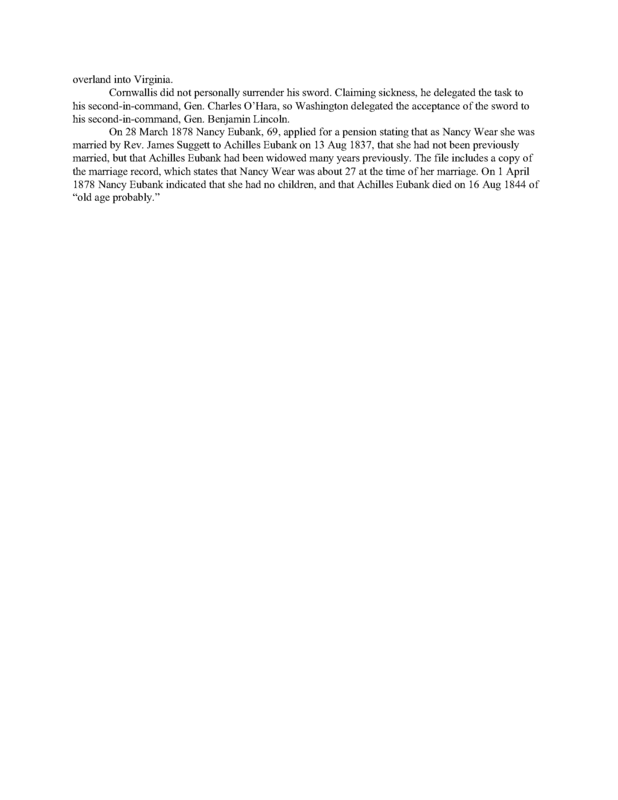 William Gowen, Jr.’s wife Jemimah Going was allowed 8 pounds for her support by David Wright (who was from Bedford County) on 12 March 1779 because she was the wife of a Continental soldier [Creel, Selected Virginia Revolutionary War Records, III:82, citing Auditors’ Account II:15 at the LVA].